BROWNFIELDS DEFINITION: The Brownfields Site definition is found in Public Law 107-118 (H.R. 2869) - "Small Business Liability Relief and Brownfields Revitalization Act" signed into law January 11, 2002. IN GENERAL- The term "brownfields site" means real property, the expansion, redevelopment, or reuse of which may be complicated by the presence or potential presence of a hazardous substance, pollutant, or contaminant. Currently the EPA has funded 15 Brownfields properties within the exterior boundaries of the Blackfeet Reservation. 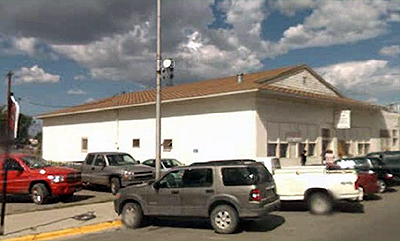 The Blackfeet Mainstream building pictured below, a Brownfields Property on the Blackfeet Reservation, is one of them. 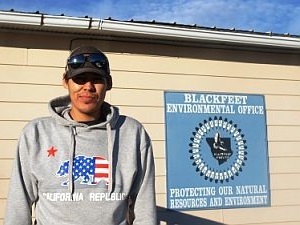 The Blackfeet Tribal Response Program Grant involves identifying potential Brownfield sites on the reservation; establishing oversight and enforcement authorities; establishing a public record; providing opportunities for public participation; and developing mechanisms for approval of a cleanup plan. 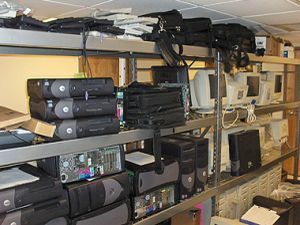 Accomplishments achieved using Section 128(a) Tribal Response Program funding include completed a property inventory, conducted environmental assessments on properties on the reservation, and created a Public Record. 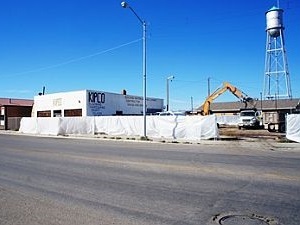 The BEO initially assessed six properties through an EPA Brownfields Assessment grant. 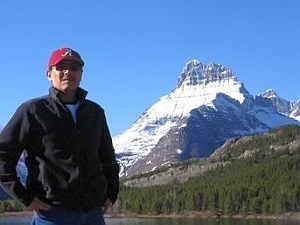 The public was included in this process because community input is a vital part of the BEO and public opinion is highly regarded as the Blackfeet Tribe's Brownfields Program continues to evolve. The Blackfeet TRP encourages public involvement through public / educational events and seminars at Blackfeet Community College and other places. Announcements of Brownfields activities are made in the local newspaper, Glacier Reporter. Since the initial six assessments the Blackfeet Tribal Response Program has used Section 128(a) Tribal Response Program funding to complete Phase I & II site assessments at nine additional sites. Environmental assessment activities involve a historical investigation of the properties followed by sampling and analysis of areas of concern. The field sampling activities help determine the type of contaminants, concentration level, and the spread of contamination. The BEO is continuing to provide Phase I and Phase II assessments under its Section 128(a) Tribal Response Program grant and encourages the public to participate in the reporting and selection of properties to be assessed. 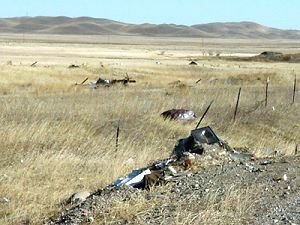 In the future the Blackfeet Tribal Response Program will be securing funding to abate or demolish and redevelop some of the assessed properties. The Blackfeet TRP has discovered some trends in compliance issues by reviewing its inventory of Brownfields sites. 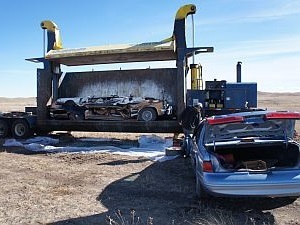 The TRP has assisted junk vehicle generators by verifying car crushing activities are in compliance with containment and removal practices for fluids and batteries. Inventorying Hutterite disposal activities has led to assisting the Colonies to come into compliance with illegal dumping and open burning. Identifying receptors in Oil & Gas lease units has led to the discovery of past releases that need to be cleaned up. Abandoned buildings surveys have helped with the selection for site specific activities for Phase I & II. 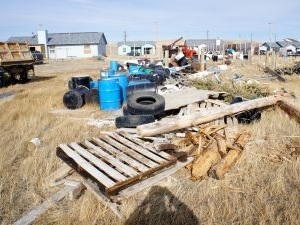 The Blackfeet Solid Waste Ordinance No. 105 was funded through the Brownfields Program and passed August 6th, 2009. The TRP continues to play a major role in the development of amendments to the Ordinance as well as assisting with enforcement. With increased Oil & Gas Exploration activities the TRP recognizes the need for new amendments and cooperation with other programs including Law Enforcement, Fish & Wildlife, Tribal Historic Preservation Office, Land Department and Water Resources to enforce the Ordinance.